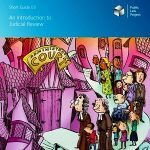 Judicial Review:What is it and what does it cost? Welcome to the PICAT website. As PICAT is a big project and growing fast we decided to give the project its own website – separating it from its founding parent, Trident Ploughshares’ site. You can find all the available PICAT documents, the activity of groups involved and the latest news via the menu at the top of this website. All new developments will be posted here as they happen. The aim of this project is to bring the crimes constituted by Trident and its renewal before the domestic courts and to secure a judgement that will lead to the ending of these crimes through the disarming of the UK’s nuclear weapons system. View poster and press release for the Picat Public Meeting in Norwich,here (Pdf).